Synopsis: An ordinary bank teller turned financial analyst is forced to sell high risk securities to her customers in order to meet her sales target. A small-time thug delves into the futures index hoping to earn easy money to post bail for a buddy in trouble with the law. A straight-arrow Police inspector who has always enjoyed his middle income lifestyle is suddenly desperate for money when his wife puts a down payment on a luxury flat she can’t afford and his dying father wants him to look after a young half-sister he never knew he had. Three little people who are in dire need of money for the predicaments in their respective lives have nothing in common until a bag of stolen money worth $5m pops up and lands them in an intricate situation that forces them into making soul searching decisions about right and wrong and everything in between on the morality scale. 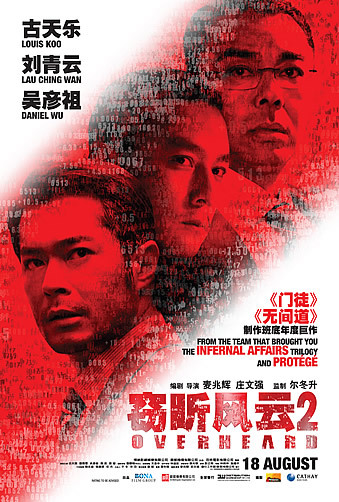 Expanding the parameters of the genre and boasting a stellar cast that includes Lau Ching-wan, Richie Jen, Denise Ho, Myolie Wu, Felix Wong and Cheung Siu-fai, Johnnie To’s “Life Without Principle” is a riveting thriller that examines the human components on the subject of money and its effects on people when the going gets tough. The long-gestating Johnnie To movie ‘Life Without Principle’ chooses as its theme the interminable greed of mankind, set against the backdrop of the current financial crisis. Taking almost three years for the auteur to get it off the page onto the screen, it is also his most narratively complex film since ‘Election’, intertwining the stories of a bank employee, a cop and two triad gangsters over the course of one fateful day when the Greek economy essentially goes ‘kaput’. Unfolding quite independently of each other at first, To requests the patience of his audience as he slowly builds up each narrative thread to flesh out the key characters. First in line is bank employee Teresa (Denise Ho), who is under pressure from the team manager to meet her sales targets for a new complex financial product before the New Year. She makes cold calls from a list of bank customers, the derision she faces enough to make one think twice about being mean to the person on the other end of the line in similar real-life situations. The focus of this segment is Teresa’s persuasion of an elderly woman (So Hang-Shuen) to invest her life savings into a high-risk fund, despite the mismatch between the investment product and the client’s risk appetite. The client laments about the bank’s low interest rates on deposits, and Teresa sees an opportunity to be less than scrupulous- despite her nagging conscience. This is certainly a parallel between this and our very own DBS ‘High Notes 5’ saga not too long ago- and To mines the realities of this sequence to highlight the pitfalls many ordinary citizens often fall into when making poorly informed investment decisions. 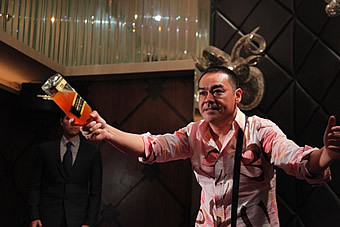 To also uses this segment to introduce two supporting characters- the balding loan shark Yuen (Lo Hoi-Pang) who gets robbed immediately after withdrawing five million from the bank; and the soon-to-be-married Connie (Myolie Wu) frustrated at her fiancee’s reluctance at buying an apartment for investment. 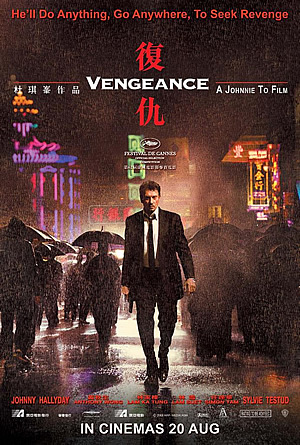 Yuen will figure later in the second story thread led by triad runner Panther (Lau Ching Wan) and his buddy Lung (Philip Keung), who runs an illegal business operation dabbling in Internet stock trading. Thanks to Lau’s fine turn playing the exceedingly righteous Panther with just the right balance of levity and gravity, this is easily the most colourfully entertaining segment- and because of the gangster milieu also the one which To’s fans will find most familiar. Using the first half to emphasise Panther’s servility as he tries to post bail for a fellow triad honcho (Eddie Cheung), To’s investment in character development pays off in understanding Panther’s loyalty to Lung and the extent he is willing to go to help Lung out of his financial doldrums. 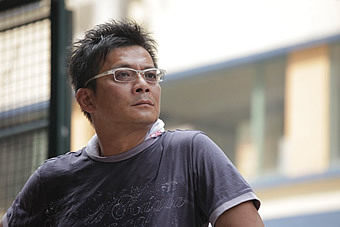 The third, and perhaps least developed, story concerns Inspector Cheung (Ritchie Jen), whose dedication to his work is another reason for his fiancé Connie’s frustration. 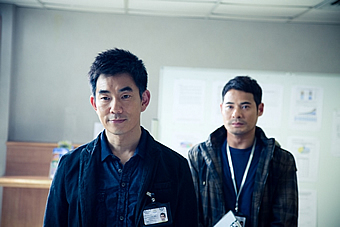 Though Cheung is seen earlier crossing paths with Panther, it is Cheung’s heroism saving another elderly man from committing suicide and his subsequent change in perspective that this segment is concerned with- though there Is a severely undercooked subplot involving Cheung’s father’s death from cancer and the fate of his young half-sister. This and the other two seemingly disparate plot threads only coalesce towards the last half hour of the film- but rest assured that To rewards your patience with a riveting conclusion that connects the various characters brilliantly, albeit with some degree of deus ex machina especially towards the end. But beyond the plotting, To’s film is also extremely meaningful as a reflection of the interconnectedness of our livelihoods with the ups and downs of the world economy. Bearing great thematic relevance and prescience, the movie paints a stark picture of how the very wellbeing of ordinary and disparate folk can be affected so drastically by something happening on a different continent. It is also not afraid to expose the flaws within the growing complexities of our financial industries, which entraps the sweat-soaked dollars and cents of good hardworking people. If the above discourse on the film’s themes isn’t yet clear enough, then let us also state categorically that those looking for To’s trademark shoot-em-up actioners will likely be disappointed. There is nary a shootout in sight, nor a bullet fired for that matter, but To’s gamble to attempt a multi-strand narrative built around pertinent social issues (think ‘Traffic’, ‘Crash’ or even this autumn’s ‘Contagion’) pays off handsomely- thanks also to solid acting from To’s usual band of regulars and some expert editing from David Richardson. 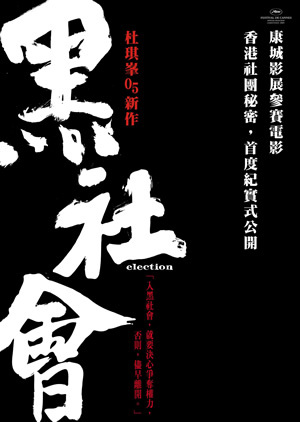 As the fruit of To’s labour for the past three years, it also reaffirms his position as one of the best, if not the best, directors in Hong Kong today.